In January of this year I had the opportunity to speak with independent filmmaker M. Asli Dukan. 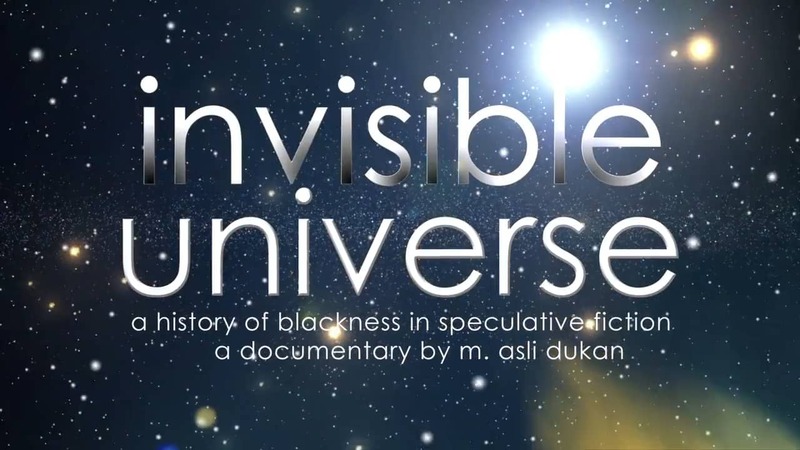 Based out of New York City, her Mizan Media Productions company is currently working on Invisible Universe, a project documenting the black creators and actors of sci-fi and their purposeful visions of the future that include people of color in prominent and positive roles. The documentary compares and contrasts the fantastical world of sci-fi with the real world of inequality and brutality we live in. George Carmona III: Please tell our readers what’s your connection/background with sci-fi? M Asli Dukan: Well I think my first connection with science fiction or speculative fiction is that I’m a fan, I’m a long time fan. I watched science fiction films when I was a child, I read science fiction books when I was a teenager, and just kind of grew up as a fan of the genre. As far as the documentary goes, that started a little bit later after grad school when I came across a conference at Howard University that was focused on black speculative fiction writers, and they had a panel that was announced to have Samuel Delany, Octavia Butler, Tananarive Due, Steven Barnes and Nalo Hopkinson. As it turns out Samuel Delany wasn’t able to make it, so it was the other four people. Octavia Butler, I’d read at that point in my life, and Samuel Delany I had heard of but never read his work. It was a big surprise to me to hear of more black science fiction writers all being on one panel, and I thought it was not only exciting as a fan of the genre, but I had graduated from grad school with a film degree, so I thought it was important that it be documented too. So I reached out to the organizer and got permission to come down and film, and that begin the journey of Invisible Universe. That was in 2003. GC3: When was it that you connected the documentary with what was going on outside your window? MAD: I have to say that the “Eureka” moment actually has happened more recently maybe along the way while things were happening. I’ve never actually made the full connection until the past few years. Just in general seeing all these people, these creators creating works, it seems to me that it really started growing into what some people maybe call a movement, since 2000. But also just along the way, me as an African American and a person of African descent, there has always been a certain type of treatment that has happened to people in this country, also around the world but I’m speaking specifically about this country, that we know about. But it seemed to me, with the growth of economic inequality and police brutality, it just was this concentration of negativity going on with the lives of just regular black folk with really high concentrated levels. So I’m reading these experiences about futuristic worlds or these fantastic pasts where black people were living and flourishing but every night I’m seeing a news story about a black person getting shot by the police or black people losing their jobs or public schools getting closed which affects black children. It just kind of grew over the past few years, the connection between the two, but it seemed to me that the imagination was flourishing amongst black creators, but among black people it was regretful. GC3: Who are some of the most positive people and characters you’ve come across making this documentary? MAD: I think my origin story with seeing the potential of speculative fiction as something positive in my life begins with Octavia Butler. I read her as a teenager and her stories were attractive to me. Not only did they have black people in the future, who had some kind of autonomy in their lives and surviving, they also had a past, and it was not just about slavery, the Middle Passage and such. Her protagonist were more often black women, which I could identify with, so from her books and her characters in Kindred to the characters in Wild Seed, I could totally see myself in these roles as a person who could flourish and survive in the future. GC3: What kind of future do you think we’re headed to in life and with fiction? MAD: I can’t read a crystal ball but I look at what’s going on in the world today and there’s massive inequality, the prison industrial complex, police and state violence against black people. But I also see young black people are stepping up. And trying to figure out what is happening with their future and specifically I’m talking about the Black Lives Matter Movement, the Dream Defenders, and any other groups of young people, people of color, black women, black queer people, or transgender, stepping up saying “we are human beings and we want to have a future that is not dictated by the policies of corporations that have been sitting against poor people on the outside”. I have some hope for the future even at a time when we see really regressive policies and actions by the state, as we also see young people stepping up saying “we are going to change our future, we’re going to have a hand in where our future is gonna go”. 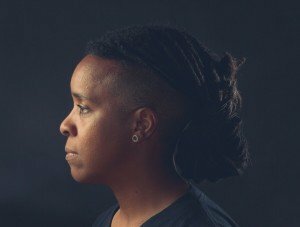 There is hope there and it’s a reflection for what I saw in this growing number of black creators of speculative fiction creating work with black people, people of color, women. They’re in the narratives that are taking place in the future and that’s what I think. I have hope that young people are stepping up. GC3: When and where can folks expect to see the completed documentary? MAD: Currently I am in post-production on the project. My editor and I have released a 7 minute fundraising demo to show people the direction it has gone. I’m anticipating sometime in the spring or early summer (2016) I should have a rough cut that I will be able to enter into film festivals. I’m not sure for when but your audiences should be able to see it at film festivals. A project I am working on, and it’s kind of been held off until I finished this (Invisible Universe), is a horror anthology film called Skin Folk based on the work of Nalo Hopkinson. I anticipate beginning production on that sometime in the summer.